He was airlifted to Dr MacKinnon Memorial Hospital in Broadford. 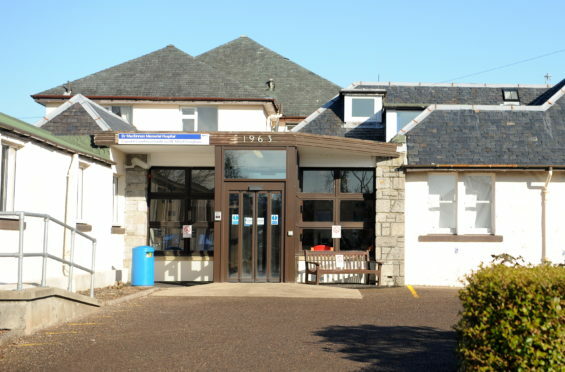 A Scottish rescue team was called out to reports of a man suffering a cardiac arrest – only to discover it was one of their members. Andy Law, of Skye Mountain Rescue Team, tragically died after taking unwell on a hillside. He suffered heart problems while setting up a children’s nature project near his home on the island. Mr Law had dedicated years of his life to helping people in distress. Fellow rescuers were called to assist a man near Kylerhea at about 3.45pm on Wednesday – not knowing it was their friend and colleague who needed help. He was airlifted to the Dr Mackinnon Memorial Hospital at Broadford on the island where he was pronounced dead. Skye MRT have since praised the “valiant efforts” of Mr Law’s companion, as well as police and emergency services who took him into their care. The message read: “Andy was a much liked, respected and committed team member over many years, and a good friend to those of us who knew him in that time. “Never flash, always calm and steady, he would happily get on with any task that came his way, whether long carries or consoling distressed casualties. The message detailed how Mr Law was the “unofficial photographer” for the mountain rescue team, and captured them at work over the years. It continued: “Although he had retired from the call-out list a few months ago, he was still a non-active team member, responsible for our website, another job he did with quiet efficiency. “Today, our love and thoughts go out to his wife Debbie and three children, his wider family and many friends who will all miss him terribly. It is the second tragedy to hit the team in two years. In February 2017, Stuart Ashton died suddenly while on a hillwalking trip with friends. He was also involved with the Search and Rescue Dog Association Scotland (Sarda). Mr Ashton, 53, was the treasurer of Skye MRT.